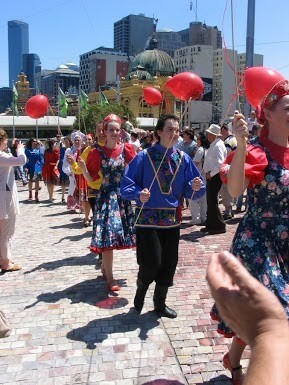 On Saturday the 2nd of March, Melbourne will be host to the vibrant Slavic Festival Maslenitsa! 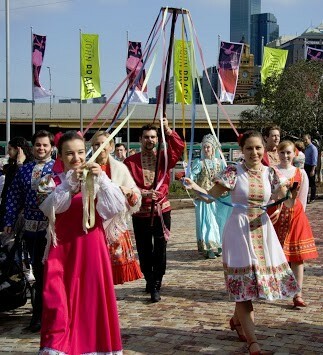 From 10am until 8pm, Federation Square will be the epicentre for Slavic song and dance, old pagan games, mouthwatering traditional food and refreshments not to mention souvenirs and an array of other activities and wonders. 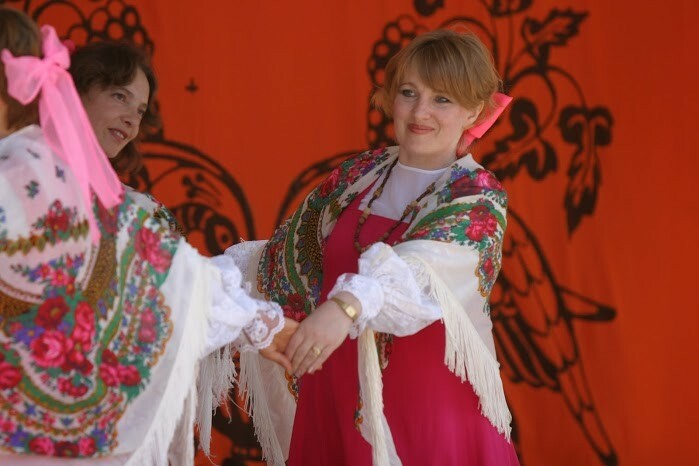 We invite you whole-heartedly to join our festivities and our celebration of Slavic culture! 1. Music and dancing: You will see performances by dancing ensembles, such as Russian "Rousichi", "Kalinka", "Sudarushka", Serbian "Morava", Polish "Lowicz" and famous choir "Balkanski Glasi", Slovakian trio "Slovaki", performances by children art studio "Inspiraton" and many other talented Melbourne's Slavic artists and performers! We also present to you very special guests all the way from Russia - the Ukrainian Choir of Moscow, the very talented Maria Vaiman, and People's Artist of Russia Nadezhda Kolosova. 2. 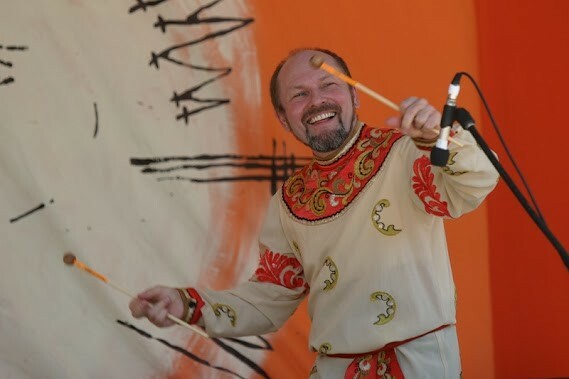 Traditional Maslenitsa entertainment: Take a chance to participate in traditional Slavic circle dance “Horovod”, ribbon carousel, tug of war, pillow fihting, face painting, master classes of dancing and traditional toys craft and painting! These and many more activities would keep all your family entertained! 3. 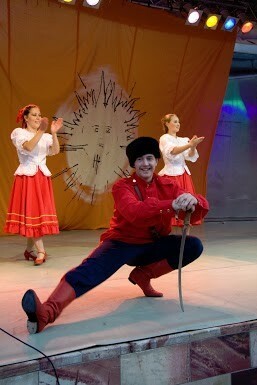 Food and refreshments: No Maslenitsa event is possible with out many food stalls filled with various traditional foods. You will have a chance to taste pancakes, traditional savoury cakes, shashlik, and other famous treats of Russian and Slavic cosines. A Beer Garden will be serving an array of refreshing Russian and Serbian beers, and Russian traditional beverage – Kvas! 4. 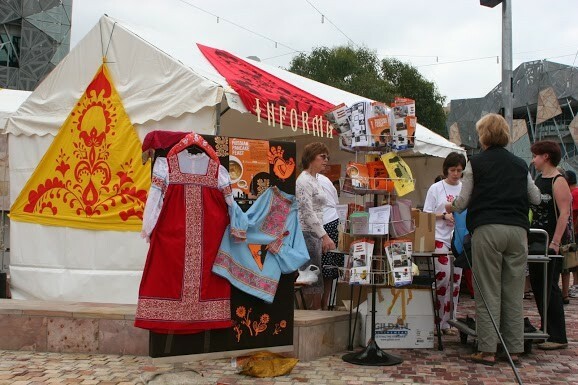 Festival fair markets: Wide range of traditional Russian, Serbian and Slavic souvenirs, toys, cloth, books and many more items would be on offer at our Festival Fair Markets. Get yourself a souvenir or two and bring a Slavic spirit into your home. 5. Place to meet friends: Such a magnificent festival as Maslenitsa: Slavic Pancake Festival is a wonderful opportunity to catch up with your old friends and meet new ones. So come on, join us! We look forward to seeing you there!